This is a JEA original drawing using pen and markers. The artist is special as are her drawings. Purchases benefit the artist. 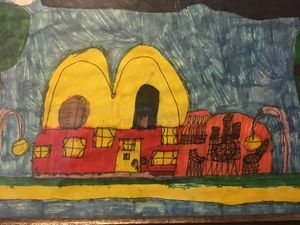 This drawing was done by a special girl who has a gift to capture childlike images of people, places, and things seen through her eyes, unlike any others. 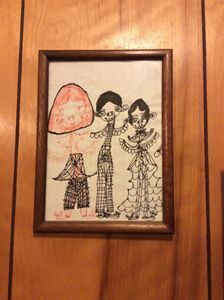 Purchases benefit the artist, who has Down's Syndrome. Thank you for looking!